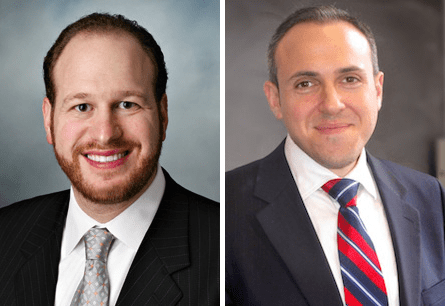 Council members David Greenfield and Mark Treyger think drivers should be able to go faster on Ocean Parkway, one of the city’s most dangerous streets. The multi-lane boulevard, running from Church Avenue to Coney Island, is a Vision Zero priority corridor because of its high rate of serious pedestrian injuries and fatalities. Lower speed limits on their own are a proven method of reducing serious crashes. With speed cameras, the the city can enforce the lower limit on Ocean Parkway and reduce the prevalence of driving at lethal speeds. Greenfield and Treyger claim to be Vision Zero supporters, so why do they want to allow drivers to travel at more dangerous speeds on Ocean Parkway? The idea that lower speed limits are making traffic worse on Ocean Parkway is ludicrous. When there’s a lot of traffic, the congestion is what limits drivers’ speeds. The speed limits and camera enforcement affect driver behavior when there’s not a lot of traffic — when Ocean Parkway is a wide-open speedway inviting drivers to hit the throttle. The whole press release is littered with ridiculous arguments, like equating Ocean Parkway with the Gowanus Expressway. Let’s see… One of these roads has stoplights, crosswalks, sidewalks, and a bicycle path. The other is an elevated expressway designed solely for moving cars and trucks. Arterial streets like Ocean Parkway comprise 15 percent of the city’s street mileage but account for 60 percent of pedestrian fatalities, according to DOT. Raising speed limits on these streets would seriously undermine attempts to achieve the city’s Vision Zero goal. Ocean Parkway saw 64 pedestrians killed or severely injured (KSI) between 2009-2013, including eight pedestrian fatalities. The pedestrian KSI rate for Ocean Parkway was 13.2 per mile over that five-year period. By comparison, the more notorious Queens Boulevard, where DOT recently lowered the speed limit to 25 mph, had a pedestrian KSI per mile of 7.3 over the same five-year period. Ocean Parkway is a challenging roadway. It serves as a major automobile route through Brooklyn but also as a linear park, bike and pedestrian path, used by many local residents, including children and seniors. A pedestrian struck at 25mph is twice as likely as likely to survive a crash as one struck at 30mph. NYCDOT believes that the lower speed limit, paired with consistent enforcement and community engagement, will be an effective approach to ensuring both safety and mobility on this important roadway. While it’s good to see DOT sticking up for safer speeds on Ocean Parkway, the agency’s speed limit policy isn’t always so rational. In Manhattan, for example, the department has added 30 mph signs to Riverside Drive and Chrystie Street. Streetsblog has asked DOT for an explanation of how it determines which streets should be exempt from the city’s default 25 mph speed limit. Update 3:25 p.m.: DOT says that Chrystie Street is designated as a 25 mph street and the 30 mph sign will be removed today. The agency has proposed lowering the Riverside Drive speed limit in conjunction with a road diet of a portion of that street, but has run into resistance from the local community board over the road diet. “We intend to both implement a road diet and lower the speed limit on Riverside Drive,” DOT said. “However, it is worth comparing the crash history of Riverside Drive with that of Ocean Parkway.” The number of serious injuries and fatalities per mile on the section of Riverside Drive with a 30 mph speed limit is far lower than the rate on Ocean Parkway. Treyger’s contribution to Vision Zero so far: banning texting while biking, moving speed cameras, and raising the speed limit. Written like someone who knows little to nothing about Ocean Parkway (which is pretty clear because for one thing the bike lane mentioned several times is not even on the street, but on a separate sidewalk median, separated from the street by about 10 feet of grass and trees). If you live in the rather large and populous portion of Brooklyn for which Ocean Parkway is pretty much the only major thoroughfare, particularly when commuting to and from Manhattan, you would agree with the Councilmen because you would know how ludicrous a 25 MPH speed limit is. Ocean Parkway is 7 lanes wide, and is the only way to get into the heart of Midwood. If people were to actually drive 25 MPH on it, tens of thousands of people’s’ commutes and everyday driving (myself included) would be considerably and unreasonably delayed. All that’s needed to keep Ocean Parkway safe (and again, I have more of a vested interest in that than the author as my children cross this street every day) is for the police to enforce the original 30 MPH speed limit, not this ludicrous drop to 25 MPH. This article reflects poorly on the entire Streetsblog NYC. Up until now I trusted Streetsblog’s take on transit and infrastructure in parts of NYC I was not familiar with, but if this is the quality of their knowledge of streets and portions of the city they write about, it is worrisome and disappointing. Oh please. You’re saying it’s inaccurate to call the Ocean Parkway bike path a bike path because it’s on the median? I live less than a mile away from Ocean Parkway. You’re fooling yourself if you think the speed limit is what’s inconveniencing you. And if the above reflects the quality of your knowledge of streets and traffic engineering and safety, then clearly you’ve not comprehended a lot of what you have read on Streetsblog up to now. If people were to actually drive 25 MPH on it, tens of lives would unreasonably be saved! I’ll take that over people saving about 2 minutes from their commute. You call it 7 lanes – presumable including both access roads to get to 7 – but somehow the bike path in between the southbound access road and the main road doesn’t count because it isn’t on the street? 3 lanes running south + 3 lanes running north + 1 middle lane for turning = 7 lanes. If you want to count the two access/service roads (which I was not) it would be 9 lanes. I’m replying to most comments but am assuming this is trolling. Considering you didn’t respond to anything I said, I think this would qualify as the first engineering ad hominem I’ve ever experienced. Sorry to hear that the truth looks like trolling from your delusional point of view. Yes and no: Yes, it would still be called a bike path, but no, it is not accurate to write about Ocean Parkway’s bike path as if it’s a normal bike path on the street. If the author’s argument was strong enough on its own factual merit, misstatements like this shouldn’t be necessary for him to make his point. So when he mentioned that Ocean Parkway has a sidewalk on the very same sentence was he implying that the sidewalk is “on the street” too? A bike path and a bike lane are two very different things. Look it up in the NYC bike map. If you actually believe that driving 25 vs 30 is going to “considerably and unreasonably delay” your and others’ commutes, and you don’t appreciate the significant safety difference between 25 and 30 mph speeds, then I imagine you’ll consider this the second engineering ad hominem you’ve ever experienced. Q, F, B, N, 2, and 5 trains get you to Midwood just fine. Most people don’t need to drive in that neighborhood. While I agree with Ryan Wood above about properly setting speed limits, I also think the design speed of a street should reflect a reasonable, safe travel speed given the conditions. The bottom line is Ocean Parkway is grossly overdesigned for a city street. It should be redesigned so drivers don’t feel safe going more than about 25 mph. I ride that bike path all the time. Yes, it is separated, but the speed of the cars still plays a very real role in how safe it is to ride the path. Southbound cars make very quick right turns, often without looking to see if there’s a bike coming. There are also a few spots where the turn isn’t a 90 degree angle but instead a diagonal that cuts across the bike lane, and these are especially dangerous. Also, there are plenty of subways to Midwood. My brother lives there, and I take the Q and then walk seven minutes to his home when I want to visit. So the length of Ocean Parkway, from Avenue Z up to where it links with the Gowanus, is about six miles. If you were able to average 30 mph along that *entire* length, you’d be able to drive that in about 12 minutes. If you’re driving only 25 mph, you’d be able to drive that in about 14.5 minutes. Since traffic and lights are going to stop you from going anywhere near that fast, the only difference a lower speed limit can make is by capping your top speed on brief stretches where there is little or no traffic and favorable light timing. Which you might get for what, like – half a mile, one mile, total? The result is even less of an impact on your overall average speed. Speed limits just aren’t going to make much of a difference here. I realize that’s hard to comprehend for drivers, who seem to think they have magical speed powers. But, as a cyclist, it’s almost obvious. Along many streets, the only drivers I can’t keep pace with are the ones flouting speed limits and lights. There’s a logical problem here, too, insofar as you blame lack of enforcement of the 30 mph limit for unsafe streets, but complain that a 25 mph will unduly impede traffic flow. Well, which is it? If no one’s observing the limit, why would a lower limit matter to anyone? If a lower limit already slows traffic, then what would greater enforcement achieve? By the way, thank you for driving through a transit-served neighborhood on your way into Manhattan. Let me guess – you prefer the East River bridges to the Brooklyn-Battery Tunnel, as well? Because why would you pay a toll if you don’t have to, right? The distance from the start of Ocean Parkway to Midwood is about 2 miles. If there were no lights and you went 30 miles an hour, it would take 4 minutes. If there were no lights and you went 25 miles an hour, it would take 4 minutes and 48 seconds. So worst possible case, you’re 48 seconds later to your home in Midwood. In reality, you are probably only at top speed for a small portion of that distance, so the difference is even less pronounced. And having driven that road, you know as well as I do that when you miss a light, you’re waiting at least 2 minutes. But I guess there are good reasons why 48 seconds could make a difference in your life. Just doesn’t seem worth a death. It’s rare to average much above 15 mph driving on local streets. More often than not the lights aren’t synchronized. My guess is the travel time difference between 25 mph and 30 mph might be seconds, if that. I think riding a bike should be a prelude to getting a driver’s license. It might make drivers see how stupid it is to just gun it the second a light turns green without bothering to see the state of the lights up ahead. More often than not, you’ll get where you’re going just as fast coasting such that you hit the next light just as it flips from red to green. You’ll also save fuel plus brake wear. I sorta have sympathy for the case of “this is the major arterial that handles traffic in this area; a 25 mph speed limit is unreasonable, well below current 85th percentile speeds, etc., etc.” For this particular road. How much traffic could parallel streets handle if curbside parking was eliminated from those parallel streets? I’m thinking Ocean Avenue, Coney Island Avenue — those are unattractive roads to begin with, maybe they could shoulder some more traffic as a trade for traffic calming on Ocean Parkway. But still could reasonably be kept to a 25 mph speed limit. Then on Ocean Parkway, go from 7 lanes in the main roadway to 4 narrow ones and a turn lane where necessary, plus parking-protected bike lanes both north and southbound, and designate the sidewalk paths for pedestrians only. (Peds certainly can’t stay out of the current designated bike path anyway.) I would ride this road. It’d be pretty great, actually. The road was a gem by late 19th century standards, but needs calming to remain one in the 21st. Drivers in NYC don’t need to go any faster at all, they need to learn some patience and slow down. This is a crowded city, full of people on the streets, but I see drivers racing down parkways and small streets alike all the time. There’s no reason to do that at all. I actually do take the subway the majority of my weekday commutes, and when I do drive to the city, almost always take the Battery Tunnel, rarely the bridges . There is a problem, and you are correct that most people are not strictly observing either the 30 or 25 MPH limit. However, many people do drive at speeds above- but still correlated to- the speed limit, so this would still effectively lower their speed from, let’s say, an average of 40 MPH to 35 MPH, which as you and others have correctly pointed out above does not have a large time impact. All that being said, I think what is rubbing people the wrong way (and what is trickling up to the politicians) is that the people know, and know those putting the policy in place know, that no one is actually driving 25 or 30 MPH on Ocean Parkway, so the lowering of the speed limit, while of course making things somewhat safer (though I’d need to see some data on the new 25 MPH Ocean Parkway before I’d be convinced of its effectiveness) feels like it’s just a money grab via traffic violations revenue. So I guess I’m asking how are we to trust the city’s intentions in frustrating moves like this when safety, revenue, and all these other factors are intertwined. I realize this is is a separate point than the one being made in the article and my original comment, but wanted to get your/people’s take on it. This isn’t just a separate point – this undermines your earlier comment completely. Previously, you said, “Think about the traffic flow! If you care about safety, enforce a 30mph limit!” But now you’re saying what’s really motivating the resistance is the concern that there’ll be too much enforcement – a “money grab” – if limits are lower. Rather than muddy things up further, let’s be clear: Slower streets are safer streets. Slower speeds on Ocean Parkway don’t add up to big time losses for drivers, once light synchronization and traffic are taken into consideration. Drivers set their speed according to legal limits, the risk of getting caught speeding, and the costs of tickets. Okay? Can we agree on that much? So far, it seems like the best way to balance safety, commuting drivers’ interests, and revenue, is to set a lower limit *and* increase enforcement. So how does your “money grab” point change the analysis? Is it unfair that drivers pay fines for speeding? Is it unreasonable to ask them to pay larger fines for putting people at greater risk for losing their lives? Why would we choose a different approach to safety on Ocean Parkway just because a minority of local residents don’t want to pay heftier fines? Do drivers really think that the roads should be more unsafe for everyone else, just so they don’t have to pay more than they’d prefer for breaking the law? Even this measure of reducing the speed will not effectively reduce the KSI targets to the vision zero goals. Ocean Parkway is considerably over capacity of its original intended design, and the population density increase around the Parkway is greater than any city planner imagined during its inception. Ocean Parkway requires a major engineering and redesign work or immensely overbearing regulation to bring it to safety. Part of the road way would be ideal location to partial underground express pathway. The upper roadways should mainly for short distances with high degrees of regulation on turns. Two lanes topside on local, two below for express paths, and two lanes width could be used for the traversal between the two. More lanes, better flow, lower noise, lower congestion, improved safety. I would also look towards an option to have two surface rail lines with Ocean Parkway and Coney Island Ave serving as opposing north/south corridors. Plan transit as if you have 10.5 millions residents and might barely stand a chance of improving the situation. Many don’t even bother to consider the state of the next light in front of them. I have discovered that cab drivers will honk at me from behind when I take the lane with a red light 30 feet ahead. You are absolutely correct (and I lived on Ocean Parkway for 8 years… Stupid memory). Your lane counting logic was sound. I think one issue is that people don’t actually get tickets until they are 10mph over the limit. So yes, if the old 30mph were actually enforced that would be a bigger safety improvement than changing the limit to 25mph and not issuing tickets until people are going 35 or 37 mph…. But, even then – I’ve always been more worried about the turning conflicts than the speed of the main road. This does not speak well for Sheepshead Bay. when vehicles travel at lower speeds space btwn each vehicle is reduced. So the lower speed actually raises the capacity of any road segment-more cars can fit on the road. Key is having safer, more efficient intersection controls to keep the calmer traffic moving. You raise some good points above, but your thinking is too black and white. Blatant money grabs do exist: http://www.sheepsheadbites.com/2014/09/locals-say-speed-camera-placed-belt-parkway-exit-ramp-unfair/ . In reality, all the rules of the road are made with a cost-benefit analysis (or a safety-speed analysis) in mind, as they should be. And the question regarding Ocean Parkway’s speed limit is no different- is it worth the decrease in driving speed/efficiency for the increase in safety. You seem sure that it is, I am less convinced. You may well be right, but let’s all at least admit that there’s a tradeoff being made here. And if analysis justifies that change, then so be it. But let’s at least agree that using platitudes about safety to dismiss the other side as sociopathic gets us nowhere. Well – when it comes to life and death, I think it’s natural to think in terms of absolutes. It doesn’t matter to me whether 35 mph is a major or minor violation, if I’m hit. There’s no gray area in what a crash at that speed would do to me, as a pedestrian or cyclist. Your slippery slope to 10 mph limits doesn’t work, because I’d expressly stipulated, in my reasoning, that the overall reduction in traffic speed wouldn’t be significant. If we’re talking about that kind of dramatic reduction in speed, then it may not be obvious that lower limits and more enforcement make sense. As long as the speed limit is well above what’s achievable on Ocean Parkway in typical traffic, on average, the logic dictates for lower limits and more enforcement. And the comparison to stop and frisk is inappropriate. We’re talking about patent lawbreaking – speeders – not about people who have a right to be left alone. By all means, we should balance the interests here. But if, as I’ve stipulated and you’ve conceded, no one has any particular interest in speed limits being at 25 vs. 30 mph (apart from avoiding heftier fines), the drivers’ interests are just not material. You’re again just muddying up the issue. When we talk about traffic flow, you admit that the 25 mph limit couldn’t make much of a practical difference, but then you want to talk about “money grabs.” But when I show that it makes no sense to talk about balancing traffic and safety concerns against the interests of a few not to pay fines for breaking the law, you again want to talk about whether safer streets are “worth” a trivial reduction in commute times. I can only surmise that you genuinely believe that the “cost” side of this equation should include potentially higher speeding tickets imposed on scofflaw drivers, but you don’t have any good argument for why it should be included, and you recognize that arguing as much would make you look a bit silly. So you’re trying to sweep it under the cover of an apparently specious concern that a lower limit on Ocean Parkway means materially lower commute times, something that’s demonstrably not the case. Sorry, but I’m not buying it. Finally, for what it’s worth – “speed traps,” to me, are really just examples of poor design. (Not that I buy that the Shore Parkway camera qualifies. There are parked cars along one edge of the roadway, and plenty of lanes for through traffic (and only one for the highway), so it’s appropriate that drivers not be driving with highway speed through that area.) As a cyclist, I have to deal with bad design every day, all over the place, and every driver and cop expects me to deal with that bad design by following the law to the letter or risk fines. So it’s a tad rich, when drivers complain about design that doesn’t work well for them. Oh, no! There’s a handful of places in the city that aren’t uniquely designed to serve your every driving desire! Perish the thought! Say that the lower speed saves one life per year and prevents 2 severe injuries. Let’s say the “value” of one life is $8 million and a severe injury is $2 million. Therefore the lower speed has a benefit of $12 million. Now let’s say the lower speed negatively affects 20,000 people 200 days a year by increasing their commute time by 2 minutes, and that the value of their time is $30/hour. Multiply all of these together and you get a cost of $4 million. Therefore, if the assumptions above are reasonable enough, the benefit outweighs the cost. I believe that in the case of Ocean Parkway, the benefits likely outweigh the costs, but I’d be very interested in reading a proper cost-benefit analysis. I’m not allergic to this kind of analysis, personally, though to be complete you’d have to take into consideration ancillary benefits of slower speeds and impacts on the number of people who would still be driving, as well as other costs that might emerge from a slower limit, including more people commuting on transit or risks associated with more driving on side streets. Combined with the kind of traffic data and analysis that you would need to do that kind of analysis, I have no idea how you’d do this kind of quantitative analysis in an intellectually rigorous way, across the city. I suspect we’re going to be stuck kind of guesstimating the costs/benefits for the foreseeable future, going more by what seems to “work” than by what we can make a demonstrative case for. Another dimension here is the normative one. A CBA may not justify slower speeds in a given case, but that doesn’t necessarily close the case. We may specifically want to build a school by the street, for instance, or we might want to knit a community across the roadway, in order to make it more attractive to live and work in. We could probably make a broader quantitative case including those kinds of considerations, too, but normative, design, and planning goals ultimately play more of a role in these kinds of decisions than they might, say, in regulatory rulemaking at the federal level. I disagree with the DOT statement about Riverside. The per-mile pedestrian KSI is not comparable to Ocean Parkway because there are fewer pedestrians on Riverside Dr, not because it’s less dangerous. Not at all, although I can confirm that not everybody in Sheepshead Bay is like this. Felder has introduced a bill that would raise the speed limit on Ocean Parkway to 30 miles per hour, exempting the street from NYC’s citywide 25 mph limit.